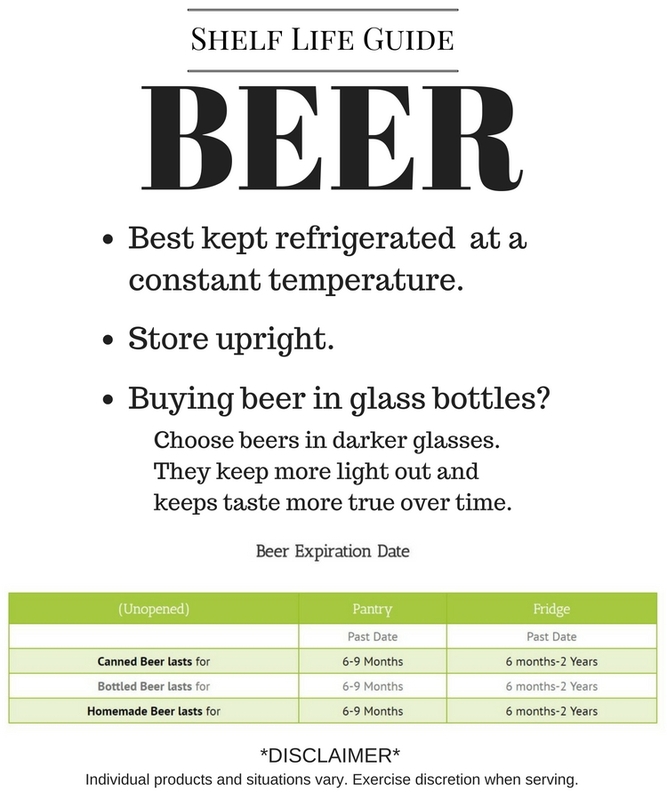 A Guide to Understanding Your Bottles' Shelf Lives. With whatever business you own, there are going to be slow-moving items. In the beverage industry especially, it's important to take note of which items are in need of replacing and which still have some life left in them. The last thing you need is to find out that you just sold a loyal customer some bad champagne on New Year's Eve. To help you avoid those kinds of situations, we've compiled a guide to help you know the signs of a bad batch and small tips you can do to extend the life of your products. Distilled spirits don't go bad, but they do fade. This includes, but is not limited to: Whiskey, vodka, rum, gin, tequila, and other products that are 40 proof and higher. These products can last for decades. Cream, fruit, and herbal liqueur will spoil. Liqueurs with cream should be had at most five months after opening. The more air there is in the bottle, the less flavor the remaining product will have.